Dislocation is most common in the shoulder. This painful injury temporarily deforms and immobilizes your joint. Physiotherapists at ReLiva clinics often treat shoulder dislocation patients across Mumbai, Thane, Navi Mumbai and Pune and report that those with repeated shoulder dislocations are those who did not complete their recovery with physiotherapy-based rehab in their very first episode of shoulder dislocation. We recommend you understand what goes into treatment of shoulder dislocation and make a conscious effort to complete the recovery of the dislocated shoulder so you do not dislocate it the second time around. ReLiva musculoskeletal experts address few of the most common concerns about treatment of shoulder dislocation and managing pain. What happens when the shoulder gets dislocated? Dislocation is a term used when the ends of your bones are forced from their normal positions because of an external force. Dislocating your shoulder means the ball joint of your upper arm has popped out of the shoulder socket. The surrounding tissues may also have become overstretched or torn. What is the first aid treatment for a dislocated shoulder? Don’t try to pop your arm back in yourself, as this could damage the tissues, nerves and blood vessels around the shoulder joint. Place something soft, such as a folded blanket or pillow, in the gap between the arm and side of the chest to support it. If you can, make a simple sling to hold the lower arm across the chest, with the elbow bent at a right angle. What to do for dislocated shoulder? If you think you have dislocated your shoulder, go to your doctor immediately. Place a folded bedsheet or pillow, under your arm to support it. Bend the elbow at a right angle and bind it to the chest or tie in a sling till you see a doctor. Early follow-upis important to decide when to begin allowing shoulder motion. It is normal for you to feel aching, discomfort or stretching when doing exercises. However, if you experience intense and lasting pain, please discuss this with your doctor or Physiotherapist. Remember - the pain in your shoulder could be due to many reasons and each will need a different line of treatment. See a doctor to ensure you are on the correct path to recovery. How is dislocated shoulder treated? non-conservatively through surgery open reduction. The decision as to which one to use depends upon the patient, the situation, and the experience of the clinician performing the reduction. A sling or shoulder immobilizer may be used for a few weeks to rest your arm while the soft tissues around the shoulder repair themselves. Complete the recovery with Physiotherapy exercise based shoulder rehab. How long does it take to recover from a dislocated shoulder? Avoid heavy lifting and sports involving shoulder movements for between six weeks and three months. How does Physiotherapy help in recovery of shoulder dislocation? After the suggested immobilization period, you will have to see a Physiotherapist for rehabilitation to strengthen your shoulder. build up strength in your shoulder muscles. The full movement and strength of dislocated shoulder can be successfully attained by completing the 3 phased ReLiva SDM (Shoulder Dislocation Management) Programme. How to recover fully from a dislocated shoulder? 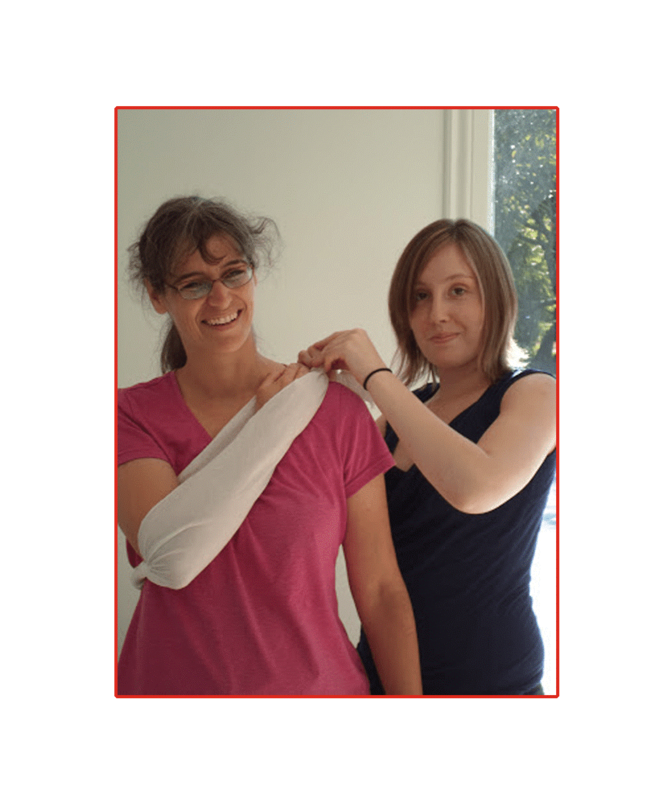 After the shoulder has been put back into its socket, the sling will help you to keep your shoulder comfortable. Your Physiotherapist will give you some gentle movements for the arm, out of the sling, to reduce stiffness and relieve some pain. You may also benefit from putting an ice pack on the sore area for 10-15 minutes. you avoid positions that could cause re-dislocation. The most important position to avoid is holding your arm out at 90 degrees to your side with the palm facing upwards, especially if a force is being applied. re-establish balance in your shoulder. The extent and nature of exercises will depend upon your individual condition and healing. Please follow what the physiotherapist has told you when doing the exercises. The aim of this phase is to make progress towards functional activities by helping you to regain the neuromuscular control of your shoulder. You will be able to attain your pre-injury level of activity by the end of this phase. How to prevent dislocating the shoulder a second time? If you’ve dislocated your shoulder once, you’re more likely to dislocate it again in the future – particularly if you’re less than 20 years old. Doing short frequent exercise sessionsas prescribed (eg. 5-10 minutes, 4 times a day) rather than one long session. What to do if shoulder gets dislocated once again? Avoid moving your upper arm as much as possible. Keep something soft, such as a folded blanket or pillow, in the gap between the arm and side of the chest to support it. See the doctor as soon as possible. Avoid positions that could cause re-dislocation. The most important position to avoid in the first few weeks, is holding your arm out at 90 degrees to your side with the palm facing upwards, especially if a force is being applied. Do short frequent sessions of the prescribed exercise (eg. 5-10 minutes, 4 times a day) rather than one long session. Gradually increase the number of repetitions that you do. Get into the habit of doing your exercises to reduce the risk of dislocating your shoulder repeatedly. Why does shoulder dislocation happen? The shoulder joint is the most mobile joint in the body and allows the arm to move in many directions. This ability to move makes the joint unstable and also makes the shoulder the most often dislocated joint in the body. A dislocated shoulder usually happens after a heavy fall onto the arm. It takes between 12 and 16 weeks to heal after the shoulder has been put back into place. Most people dislocate their shoulder during asport such as basketball, volleyball, squash, rugby or in an accident. In older people the cause is often falling onto outstretched hands, for example after slipping on water or road. There may be shoulder pain due to other reasons too. That is why, a correct diagnosis is very important before treatment commences. What are the types of shoulder dislocation? It is possible to dislocate the shoulder in many different directions, and a dislocated shoulder is described by the location where the humeral head (ball of the upper arm) ends up after it has been dislocated. 1. 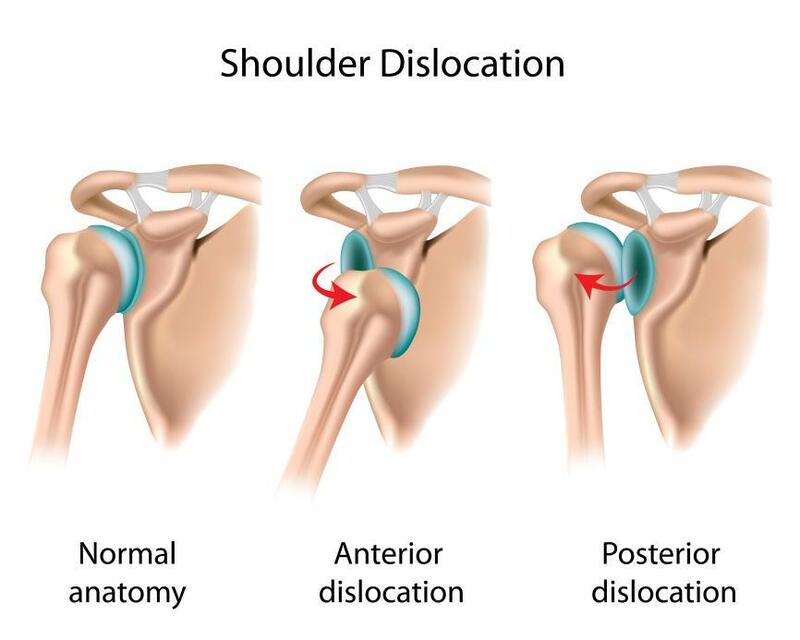 Anterior Dislocations:Most of shoulder dislocations are anterior dislocations, meaning that the humeral head has been moved to a position in front of the joint. A common example is when the arm is held over the head with the elbow bent, and a force is applied that pushes the elbow backward and levers the humeral head out of the socket. This can occur with throwing a ball or hitting a volleyball. Anterior dislocations also occur during falls on an outstretched hand. 2. Posterior Dislocations:Posterior dislocations are uncommon and are often associated with specific injuries like lightning strikes, electrical injuries, and seizures. Whichever be the case, it is important to see a doctor to get started with the treatment of your shoulder injury and complete the recovery by regaining the lost strength with proper physiotherapy exercises. Call us at +91 9920991584 and we will connect you with a physiotherapist located near you. Reliva offers physiotherapy treatment at its clinics (click here to find a clinic near you) as well as your home through home visits. This article is based on the inputs from Dr Swapnaja J (PT), Dr Carol J (PT) and Dr Neelam (PT). Dr Swapnaja and Dr Carol are MPT in Musculoskeletal Physiotherapy and Dr Neelam is a Sports Physiotherapist. Seeking best physiotherapist? This biker found relief from lower back pain and recovered to go back to his mountain biking. Read on to find what it takes to being a physiotherapist who can heal.